It’s hard to believe Black Friday is just around the corner! 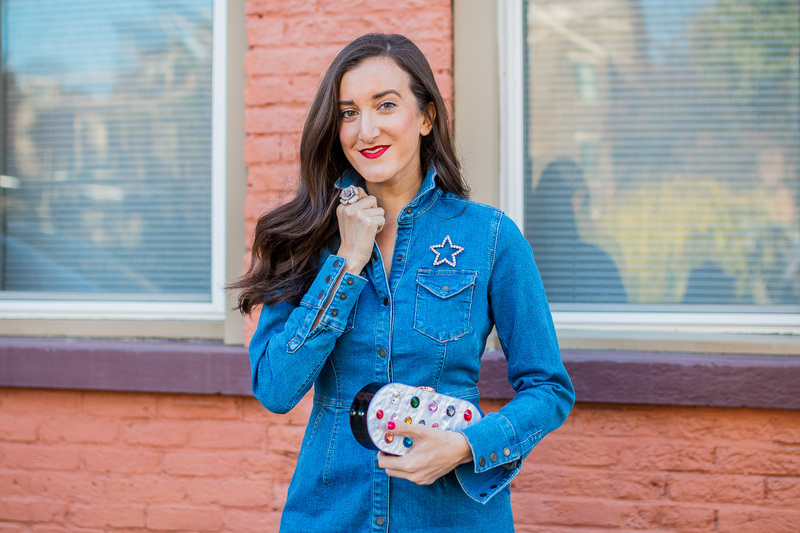 I recently made a trip out to Liberty Center to do some shopping and it was the perfect opportunity to get an idea of what to shop for when Black Friday comes around. 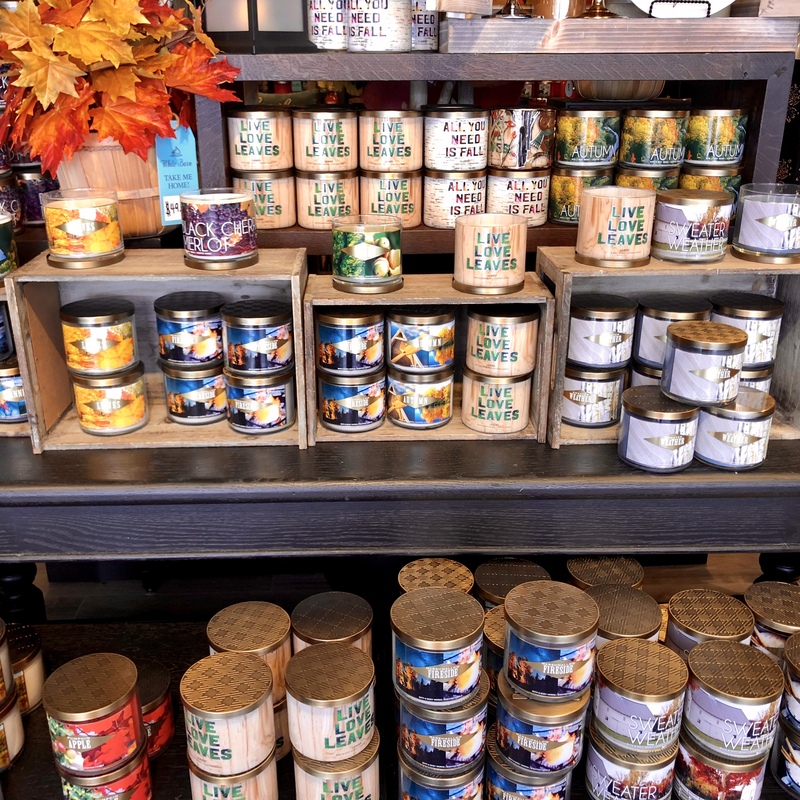 As you know if you’ve been to Liberty Center, they have a wide selection of amazing shops to help you find a gift for everyone in your life. While I was perusing the stores to get some inspiration for holiday gifts I also did a little bit of shopping for myself! 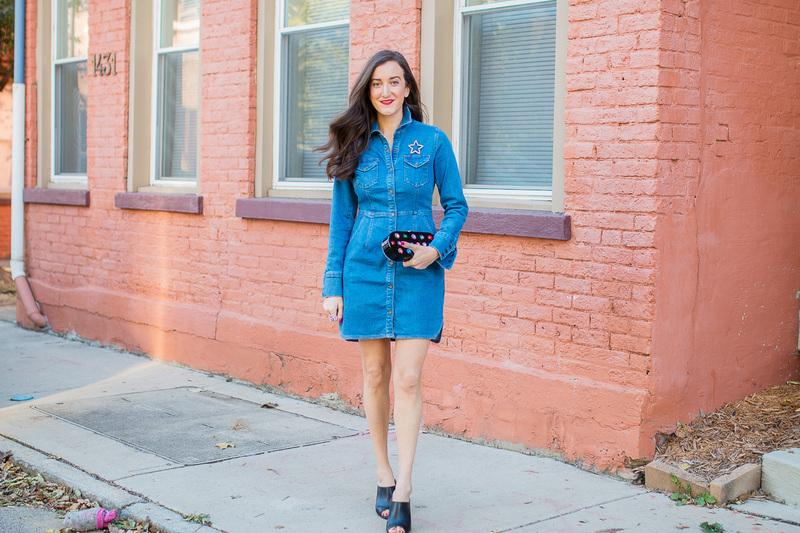 I stumbled upon this stylish Free People denim dress and knew I had to try it on. You can’t tell from the pictures but this is actually a really thick dress and it has a nice stretch to it. You can really appreciate the quality when you feel it. 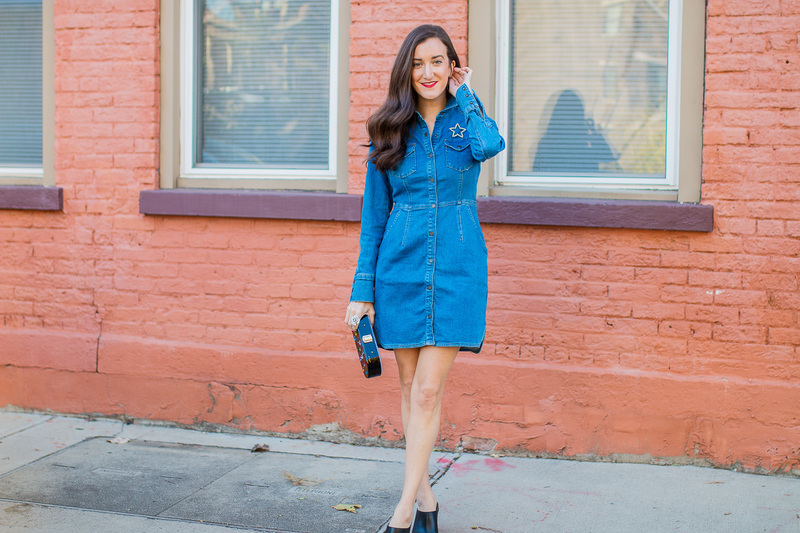 I love denim dresses because the styling possibilities are endless. 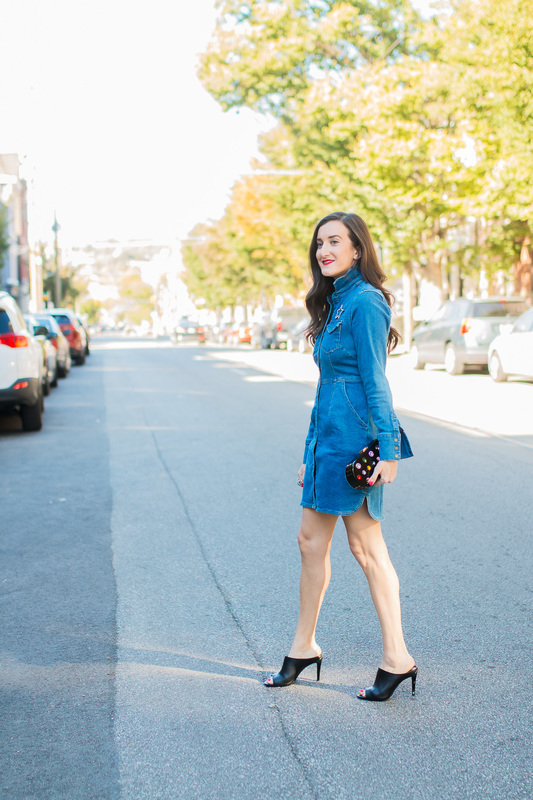 A major selling point of this denim dress is the long sleeves, making it a great fall option. You can pair it with boots or booties, or go with a more sleek shoe such as a mule. 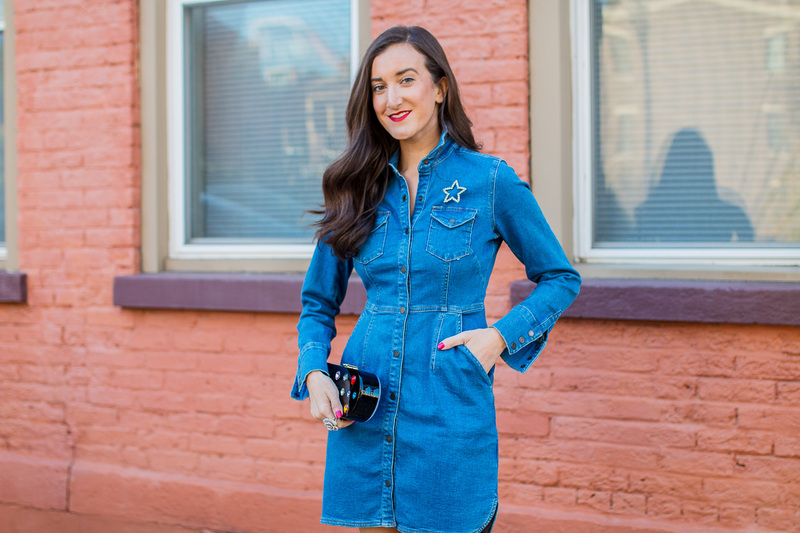 I also love that denim is fun to accessorize with. 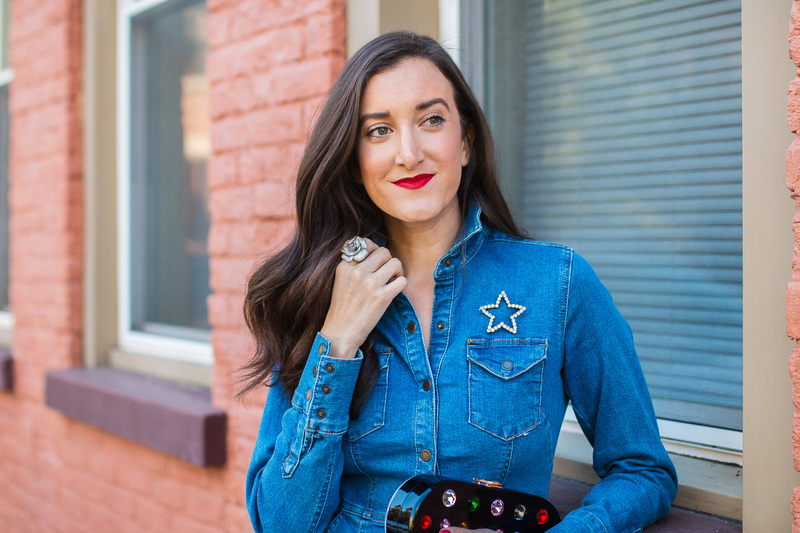 I added this star brooch (one of my favorites!) to make my look more glam and finished the look with a colorful clutch. Now that I got my treat to myself out of the way, let’s talk Black Friday shopping for your friends and family! I popped into as many stores as possible so I could share my top picks with you when you head out on Black Friday. My first stop was at PacSun and I was instantly drawn to their denim selection. If you can’t tell I think having some denim options in your closet is essential. 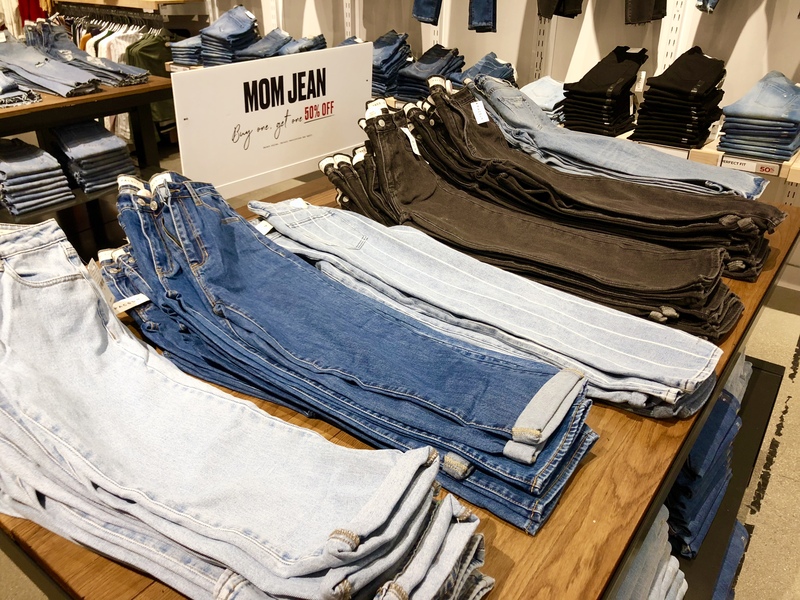 Their range of denim was impressive, ranging from the washes to the textures. American Eagle drew me in with their colorful plaid shirts on display. 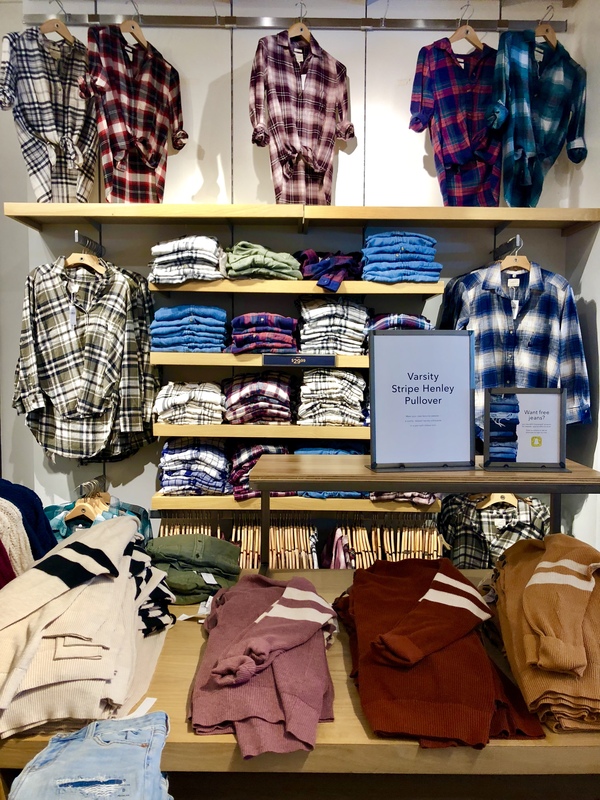 Plaid shirts are another closet staple this time of year and their selection was abundant! Plaid shirts are an easy way to incorporate color into your fall and winter wardrobe, especially if you’re like me and stick to neutrals when it’s cold. I think we can all appreciate wearing a chic and comfortable pair of intimates and these checked both of those boxes. I purchased a pair of leggings while I was there and have not been able to take them off. From working out to lounging around the condo, I’m amazed at how comfortable they are! If you’re looking for workout gear or loungewear on Black Friday, be sure to stop at Aerie! Did anyone else always have fun Christmas pajamas growing up? My mom always surprised us with cheerful Christmas pj’s in our stocking for St. Nick and then we would wear them to bed on Christmas Eve. It was such a fun tradition! 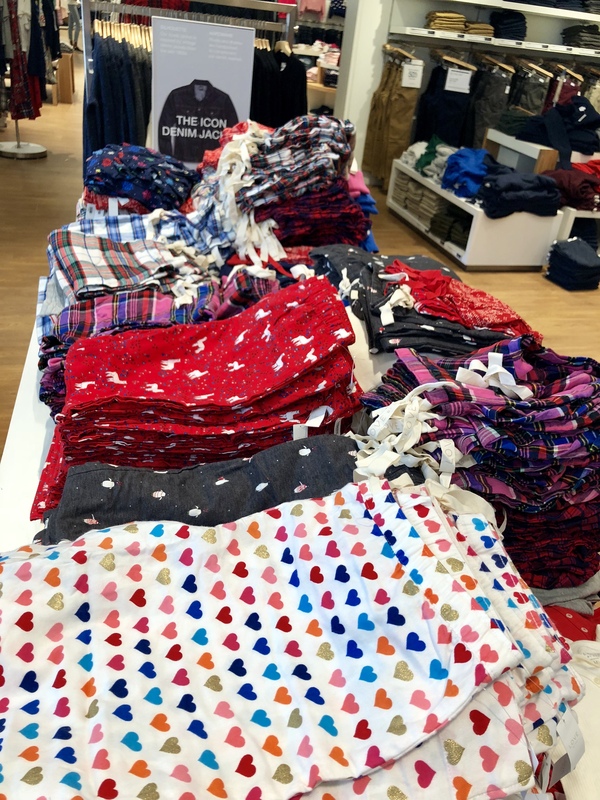 Gap was overflowing with exciting pajama sets, and I wanted all of them! These would be a perfect item to stock up on when you’re doing your Black Friday shopping at Liberty Center. The whole family will love them! I’ve become a bit of a candle hoarder in recent years and couldn’t resist a stop into White Barn. I was instantly greeted with gorgeous fall and winter candles. Dillard’s had plenty of items that were putting me in the holiday spirit. 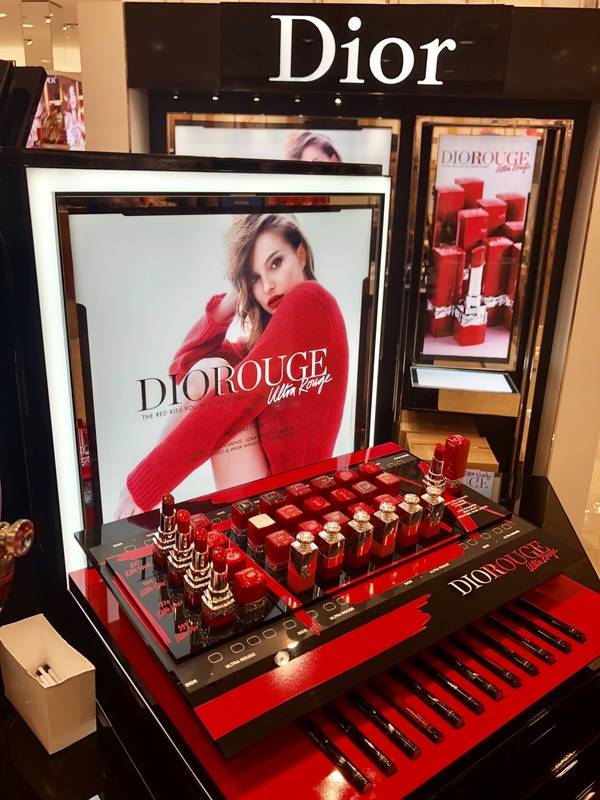 This Dior Rouge line has the most gorgeous shades of red and would be perfect for any holiday get together. 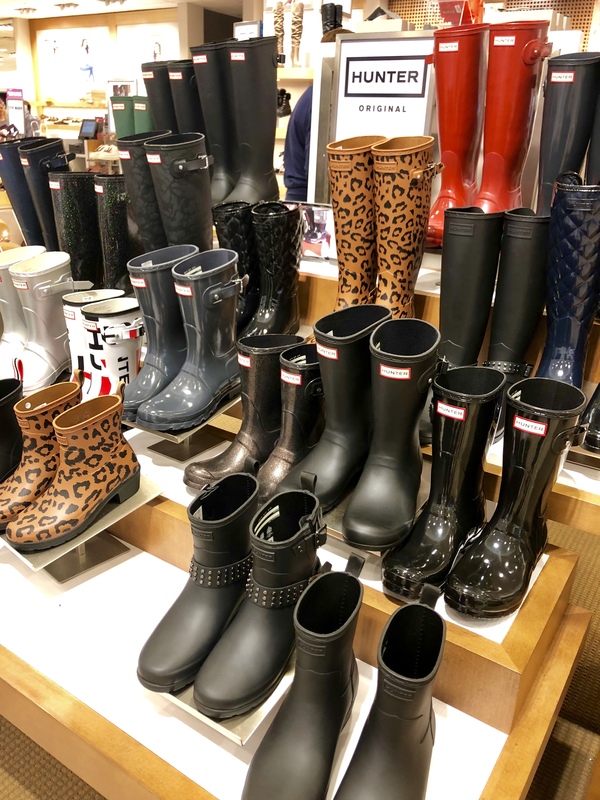 I also fell in love with the Hunter boots display. I have a black pair of Hunter boots and love them! Seeing some of these new styles (hello leopard print) made me want to add another pair to my collection. As you can see there are tons of gift options at Liberty Center to assist you with your Black Friday shopping lists! Enjoy your Thanksgiving celebrations and then spend your Black Friday shopping til you drop at Liberty Center! Thank you to Liberty Center for partnering on this post.